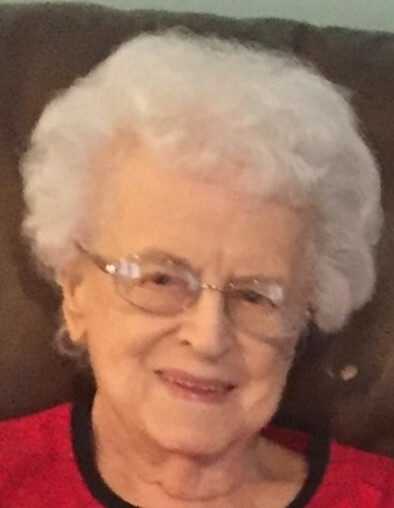 Edna Mae Fischer, 94, of North Canton, Ohio passed away after a brief illness Wednesday, March 13, 2019 at Aultman Hospital. Born February 12, 1925 in Uniontown, Ohio, she was the daughter of the late Ward and Irene Moore. Edna graduated in 1943 from Uniontown High School. In 1946 she married her high school sweetheart, Leroy Fischer. Together they had the good fortune to have many true and lifelong friendships. For the past 15 years, Edna was blessed by the special companionship she shared with Alfred Tessmer of Hartville, Ohio and his extended family. Edna and Al loved spending their winters in Palmetto, Florida. Some of Edna's favorite pastimes included baking her famous chocolate chip cookies, quilting many beautiful wall quilts and blankets, and playing cards with friends. She was an active and faithful member of The Lutheran Church all of her life. 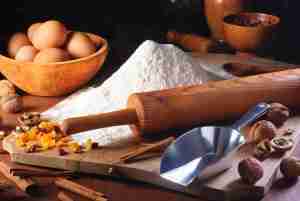 Employed by Walsh College as a baker, she enjoyed baking for, and getting to know the students and staff. Edna will be remembered lovingly by her family and friends as a sweet, kind-hearted, and gentle soul. In addition to her parents, she was preceded in death by her loving husband of 50 years, Leroy Fischer; sisters, Jeanette Yerrick, Betty Thursby, Idabelle Murphy, and Joan Fankhauser; brothers, Dale and William Moore; son-in-law, Dennis Kurtz; and sister-in-law, Shirley Vorndran. Edna is survived by loving friend, Alfred Tessmer; daughters, Susan (George) Martin and Jayne (Mike) Schrader all of North Canton, Ohio; sons, Timothy (Laura) Fischer of Delanson, New York, and Donald (Kathy) Fischer of Brecksville, Ohio; 11 grandchildren; 15 great-grandchildren; 10 great-great-grandchildren; sister-in-law Judi (Don) Greenhoe; and many nieces, nephews, friends, and extended family. Family and friends are invited for visitation, Saturday, April 13, 2019, from 11am, until the time of the Memorial Service, which will begin at 1pm, at Zion Evangelical Lutheran Church, 349 Lindy Lane, North Canton, Ohio 44720. Pastor Rich Ferris will officiate. Interment will take place privately with Edna's family. In lieu of flowers, memorial contributions may be made to Zion Evangelical Lutheran Church of North Canton.